The 1st ever all-day fresh matte look formulated with oxygen technology. Its lightweight and breathable formula is perfect for everyday use! A longwear foundation that’s powered with SPF 25PA +++ to protect your skin while keeping you looking fresh all day! Available in 8 shades, look good, feel fresh. It's so lighweight, it feels like nothing! Read more about it on L'Oréal Paris. 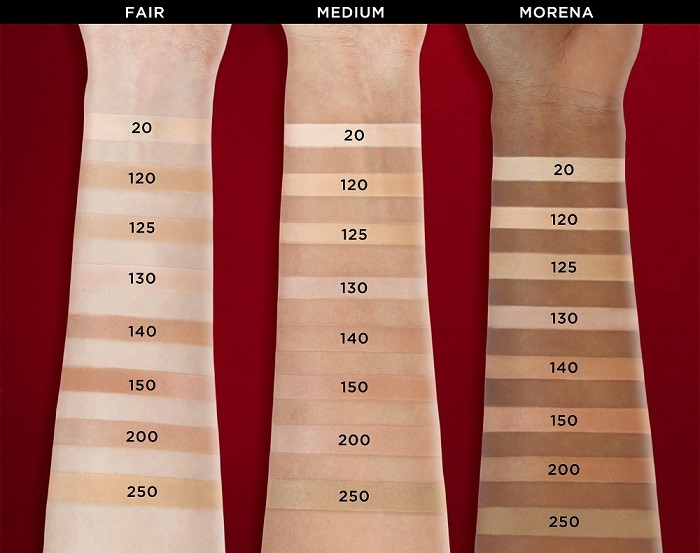 If you are selected, apply Infallible 24HR Fresh Wear Foundation as per guideline. Start with a well cleaned, toned and moisturised face. 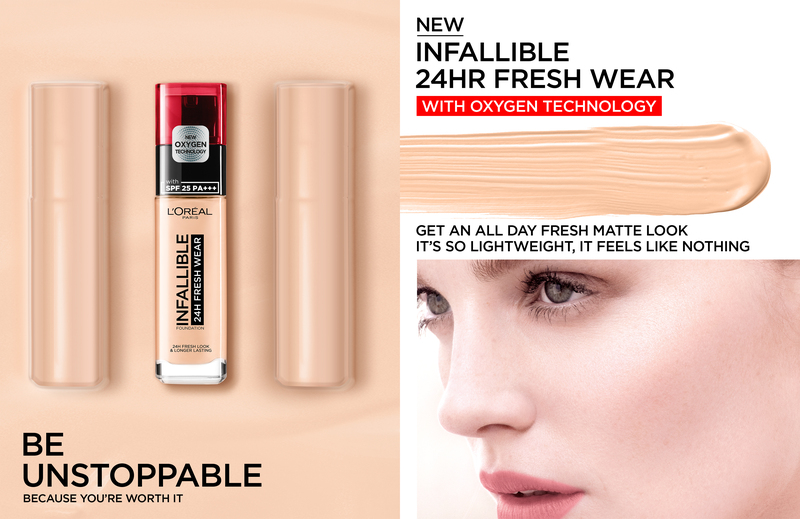 Apply your Infallible 24HR Freshwear Foundation starting from the T-zone and blending out toward the edge of the face. This will create an even, flawless base. It suits my oily skin and it last even longer. It can also hides dark areas on your face. Can't wait to try the other loreal products. I just recently bought this foundation last week. It made me buy because of the hype! I want to see if it's really worth the hype. The finish is s bit dewy for me. I have an oily skin but I'm fine with that cos I'm setting it with a powder. The coverage is medium and to full. I tried layering it twice and it doesn't cake which is good! I wore this the whole day. Surprisingly, it lasted the whole day. I only blotted 2 times. I love how lightweight it is. Perfect for a very hot weather. This product is so easy to use and the blendability is so good.. The texture of this product for me is not so creamy and too watery.. When it comes to the coverage.. I think its ok if you dont need to cover some acne marks.. But if need some coverage.. I think it can help but its not 100% invisible.. It also dont oxidize on my skin knowing that im an acidic.. Its also good that there are different shades that you can choose from.. So its a thumbs up for me..
Sooo lightweight! I almost forgot it was there! Super fresh look even without retouching. Very happy to try this! Will definitely buy once this one runs out.